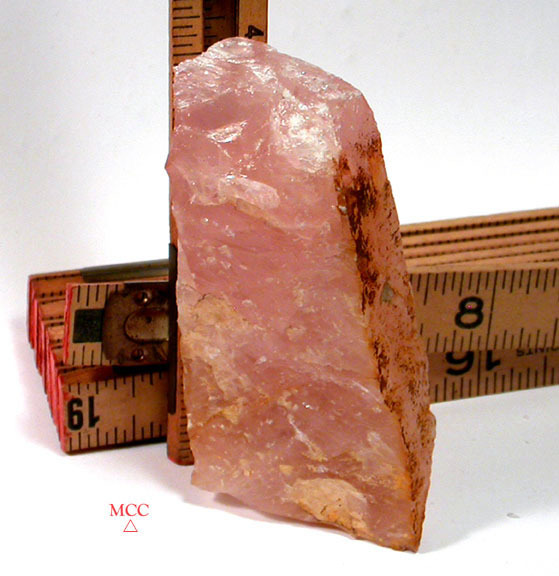 South Dakota's rose quartzes are amongst the finest in the world, and this one's no exception. 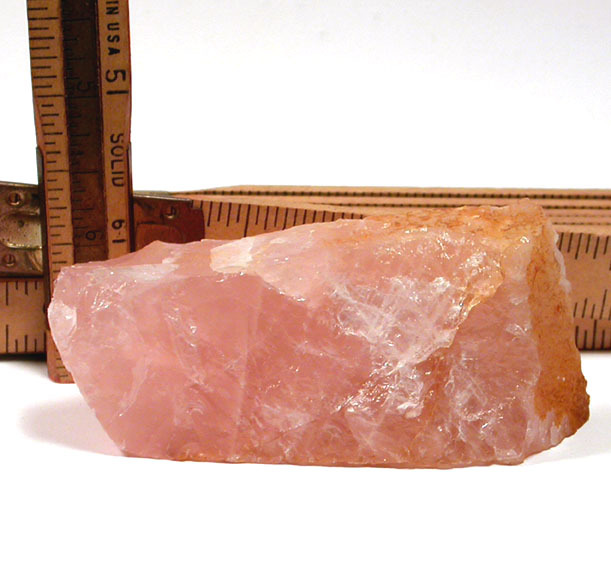 Naturally a deep pink with a bit of iron oxide, it's especially suited to be a wonderful large pendant, a small altar base or a focus to build your mineral collection around. 5/8x 1-1/2x 4-1/2" it's considered cabinet sized. You'll enjoy its' fine translucency, a little rainbow and areas of regrowth.